Aristocratic women, Marxist revolutionaries and Soviet dissidents—the face of Russian feminism has changed a lot over time. Here’s the story of how several different generations of Russian women struggled for gender equality. The idea of feminism, which later would be described ironically as “the radical notion that women are people,” first came to Russia in the 1850s. This was not exactly the easiest time to be an advocate of women’s rights, given how patriarchal and conservative the country was. Even Leo Tolstoy, who was a humanist, believed that a woman’s purpose in life was to devote herself to her husband and children. He called the women’s rights movement “funny and ruinous, messing up women’s heads” because it argued that women should be allowed to work and seek meaning in life other than through family. Nevertheless, inspired by Western activists, some brave Russian women rose up against the patriarchy. 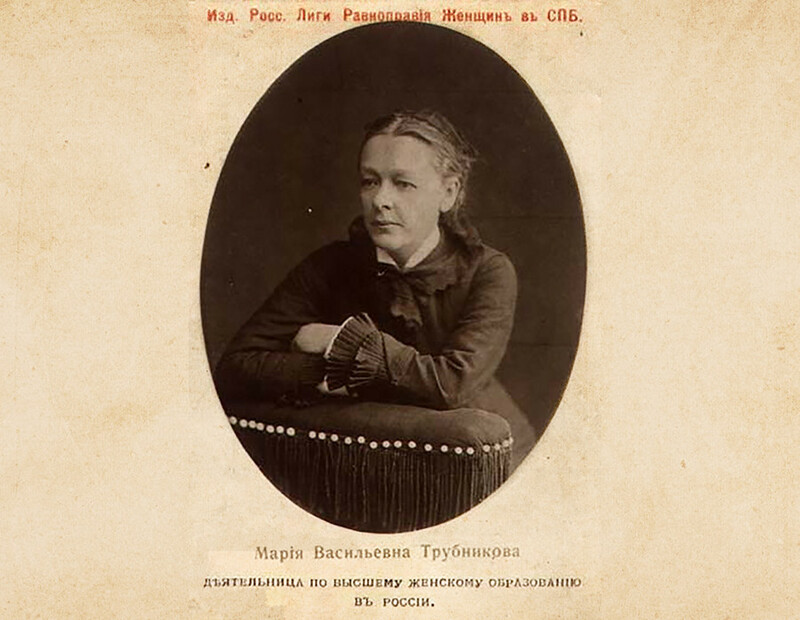 Maria Trubnikova, one among those who helped to provide women of the Russian Empire with higher education and qualified jobs. In the West, the suffragette movement struggled for political rights. However, in Russia this wasn’t really an issue since nobody, regardless of gender, had right to vote until 1905 anyway. At first, feminists concentrated on providing women in the Russian Empire with proper education (until 1868, women had no access to universities) and jobs (since single women were financially vulnerable). Maria Trubnikova, Nadezhda Stasova and Anna Filosofova made up a “triumvirate” of hard-working activists seeking change. All three were born into aristocratic but poor families. They made great efforts to help other women by creating jobs for translators and teachers, organizing trainings and teaching courses. They also used their connections in the court to lobby for women’s education. Their hard work paid off, and in 1868 the authorities established the Bestuzhev Courses, which would go on to become the most prominent institute of higher education for women in pre-revolutionary Russia. “Thanks to their efforts, by the beginning of the 20th century Russia ranked among the highest in Europe in terms of women’s higher education,” historian Svetlana Aivazova wrote in Russian Women in the Labyrinth of Equality. Alexandra Kollontai, the main feminist of the 1917 revolution (at least among the Bolsheviks). To some extent, this is what happened. 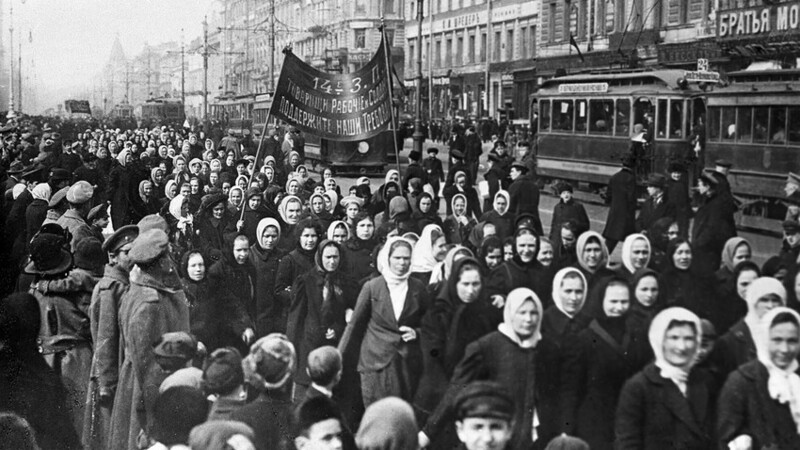 Following the February 1917 revolution, women organizations launched rallies and sparked debates in the media, putting pressuring on the Interim Government to grant women voting rights. It did, and Russia became one of the first European countries where female citizens enjoyed the right to vote. 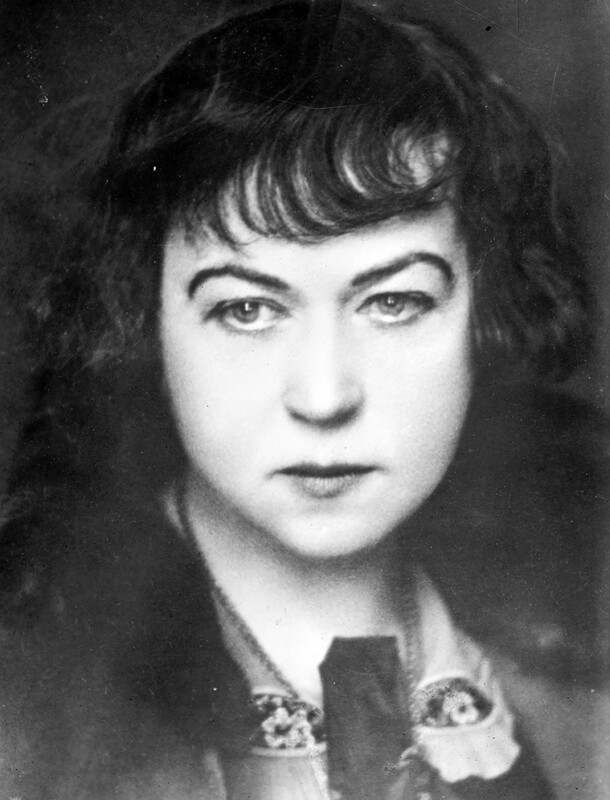 Following the Bolshevik Revolution in October 1917, Alexandra Kollontai was named People's Commissar for Social Welfare, becoming the first female minister in the world. The main “feminist among Marxists,” Kollontai established and worked in the Zhenotdel (a governmental organization supporting Soviet women) from 1919 to 1930. She was also an advocate of the notion of “free love,” meaning here that emancipated women were free to choose and change their partners. Natalya Malakhovskaya, one of the main feminist dissidents of the Soviet period, speaking in front of an audience. Even after these restrictions were eased in the post-Stalin era, key challenges to women’s rights remained in the Soviet Union. On paper, women were free and equal, but in fact they had to work twice as much as men, taking care of domestic duties in addition to working a job. The unfairness of this led some women in the 1970s to stand up against the system again. “Despite our leaders saying that the Soviet family has no problems, there was violence on the part of men…and the conditions of treatment in maternity homes, in hospitals, were terrible for women,” activist Natalya Malakhovskaya explained in an interview with Radio Liberty. In 1979, she and two colleagues illegally published the Women And Russia almanac to write about issues relating to women in Soviet Russia. Feminist almanacs and journals were distributed in secret and passed around between acquaintances. After uncovering these circles of dissident feminism, the authorities forced all three main contributors of Women and Russia to emigrate. However, this didn’t completely dash all hopes for equal rights for women in Russia. 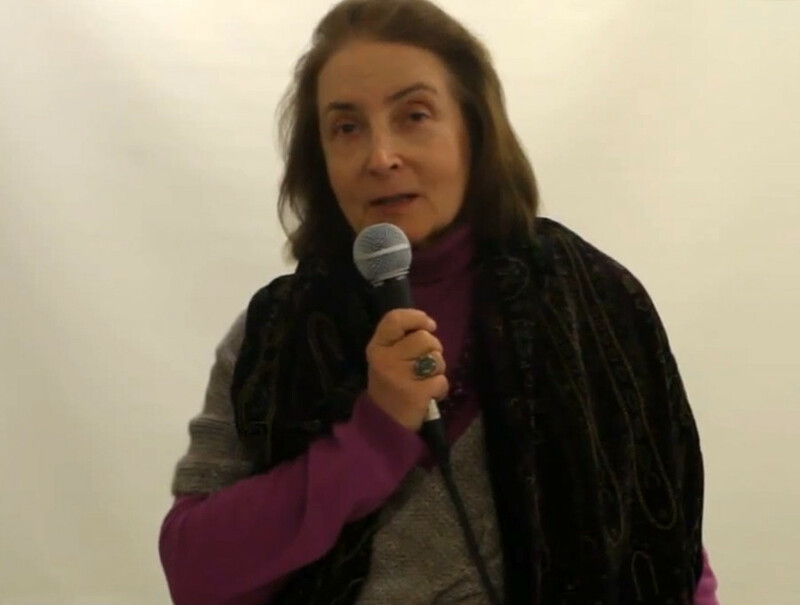 Feminist ideas continued to exist and made it to the collapse of the Soviet Union and the 1990s, when feminists gained the right to speak for themselves openly. For those interested in the current state of feminist ideas in Russia, we have two (1, 2) opposite opinions on whether modern Russia lacks feminism or not. What was the life of a 10-year-old girl like in Russia 100 years ago? Russia's own lady Hamilton: Why did the first Russian Emperor execute his Scottish mistress?